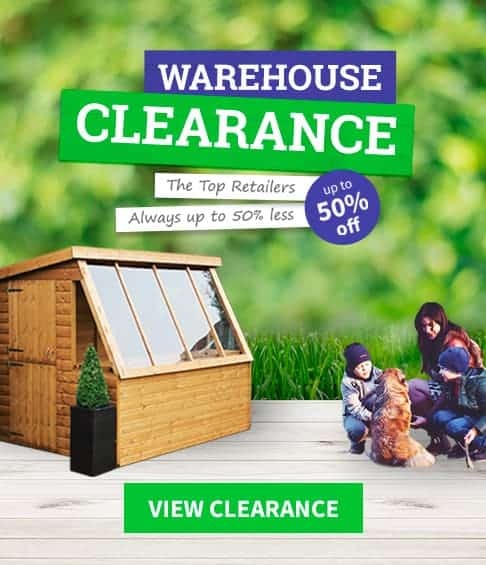 Although our name might not suggest it, WhatShed cares about a whole lot more than garden storage. We have the best independent reviews of all plastic playhouses in the UK. 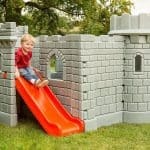 We cover Plastic Playhouses, playhouses, Little Tikes playhouses and children’s playhouses. As such, WhatShed has taken the liberty of compiling an array of versatile and exciting playhouses for the special child or grandchild in your life. Through our research, WhatShed has shortlisted these low-maintenance plastic playhouses as the most versatile, cost-effective solutions on the market to keep the kiddies amused while you sit back, relax and reflect. Our plastic playhouses have been created for outdoor use, meaning they’re extremely durable. Our single storey playhouses make great children’s cottages and our two storey playhouses offer something a little different where your son or daughter can make a hideaway in your garden. 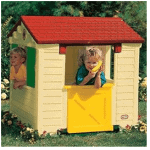 We offer plastic playhouses to match any budget, so put a smile on your children’s faces with one of our playhouses. 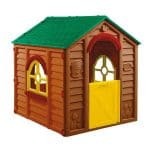 What Shed offers a wide choice of playhouse styles and sizes, from small plastic playhouses to large wooden playhouses. Let your child’s imagination run free and let them create their own garden den, children’s club house, doll’s house or castle, with our tower playhouses! 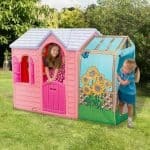 Children’s playhouses develop a great environment for your kids to play outdoors safely, whilst providing hours of fun! Interested in something a little more polished than plastic? 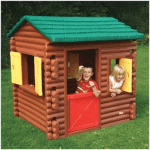 Consider WhatShed’s large selection of wooden playhouses as well. 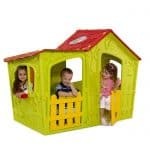 So, if you are looking for plastic playhouses for sale, then you have come to the right site. 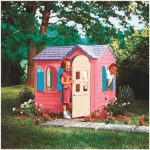 Looking for a keter playhouse? This is a pretty little plastic playhouse which the children will adore. You’ll get plenty of relaxation while the children or grandchildren play for.. 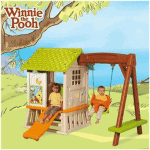 Looking for a Winnie the Pooh playhouse? This is a very versatile little playhouse. Having a seat, swing, slide, under floor crawl area and very cool little raised.. Looking for a magic villa playhouse? A fairy tale playhouse that will brighten both your garden and your life! With lovely details, this house has a lot of.. Looking for a magic villa playhouse? A lovely fairy-tale house for the little girl who loves all things pink. A unique design, open aspect and attention to detail.. 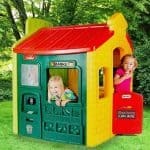 Looking for a Little Tikes country cottage playhouse? 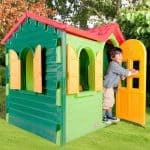 This is the classic Little Tikes playhouse with a multitude of fun house features to keep little minds busy and..
A lovely ‘stone’ appearance cottage with a stable door and charming shutter window. 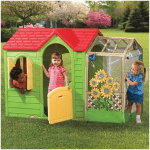 Your child will marvel at the unique feature of this playhouse – a real, working,..
A fantastic classic playhouse with the addition of a ‘greenhouse’ on the side for extra enjoyment. 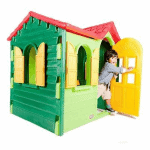 This playhouse offers many opportunities for imaginative play and has a lovely,.. This incredibly versatile playhouse could be any building your child wanted it to be, from a playhouse to a petrol station or a basket ball court! Yes we.. 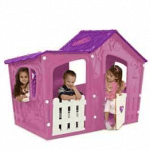 Looking for a pink playhouse? If you know a little girl who dreams of a pink house in the garden then look no further. This is a little.. 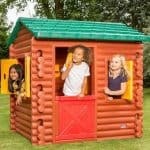 Looking for a Little Tikes log cabin playhouse? A fantastic, traditional-looking log cabin playhouse with charming shutters, stable door and even a phone! This is a playhouse that..
An incredibly versatile playhouse with unique design and layout, offering three different areas in which to play. With fantastic attention to detail and even a fabric curtain, this.. If you’re looking for something quick, easy to assemble and extremely effective then this is the playhouse for your children. 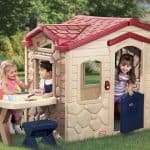 The 5’6 x 3’1 Little Tikes Picnic on the Patio is a playhouse that is going to provide a long lasting and safe place for your children to.. This log cabin has been especially designed for children of 2 years plus. Any child that gets inside will immediately find a wealth of play opportunities, and one.. 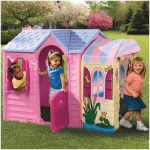 This little princess playhouse is perfect for any little girl who dreams about being part of royalty. It has a durable design as well, so you don’t have.. 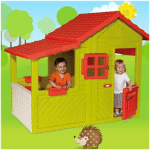 This 4 x 4 playhouse is an attractive and very high quality construction. The durable plastic construction means that you won’t have to worry about repairs. It is.. This 4 x 4 playhouse is created entirely from tough, moulded plastic. This means you have a design that is durable. This also means that there is no.. 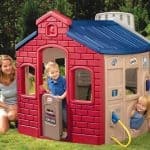 This 4 x 3 plastic playhouse has shutters, bringing a real sense of exploration to the play that your children enjoy. It has been created using high quality,.. 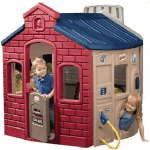 This 4 x 3 playhouse is effectively maintenance free. There is no need to worry as the children get to grips with the product, and there are also..